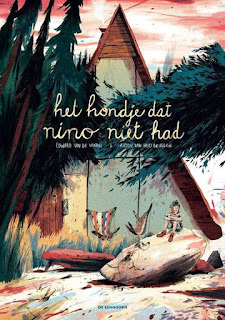 Very agreable news: translation rights for THE DOG THAT NINO DIDN'T HAVE (HET HONDJE DAT NINO NIET HAD) were sold to Turkey. The book will be published by Final Kültür Sanat Yayınları. But at the same time rights were sold to Macedonia: to the publishing house of Ars Lamina. Fantastic! The book was also sold to China, Brazil, USA, France, Germany, Russia, Ukraine, Denmark and South-Korea.